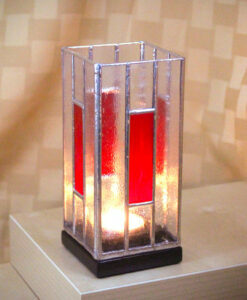 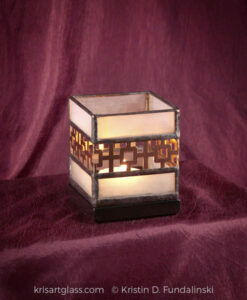 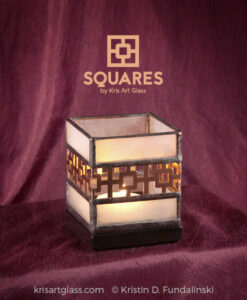 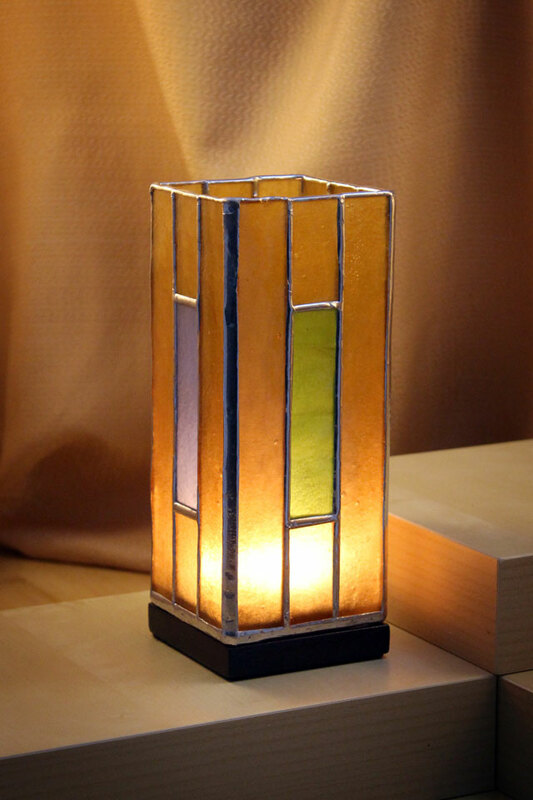 This hand-made elegant stained glass candle holder features a mission style design. 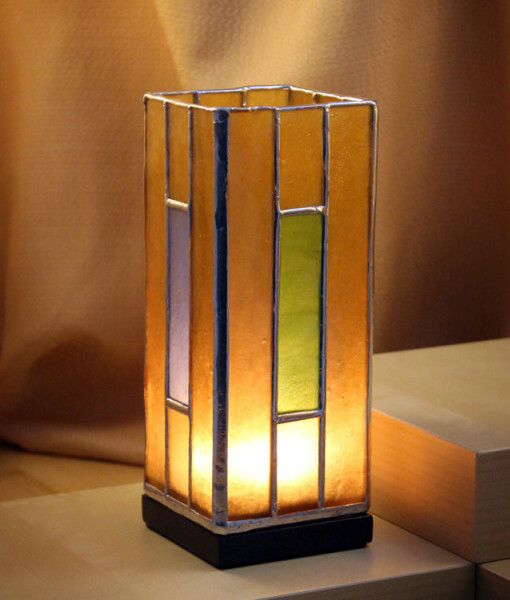 The amber colored glass has a frosted look, and a bold pop of colored stained glass in the center. 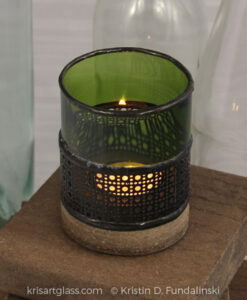 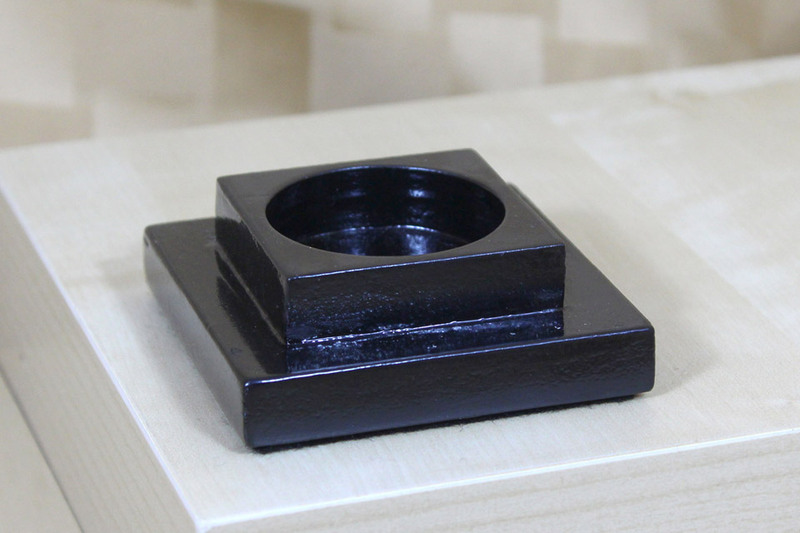 It sits on a black base, which provides easy access to light and change out your tea light candles. 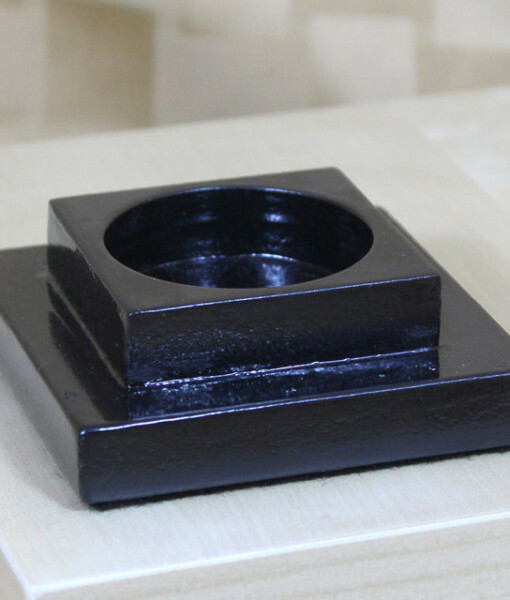 The base features a hole for your tea light to sit in and felt on the bottom. 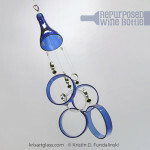 Categories: Glass Candle Holders, Mission Style, Stained Glass. 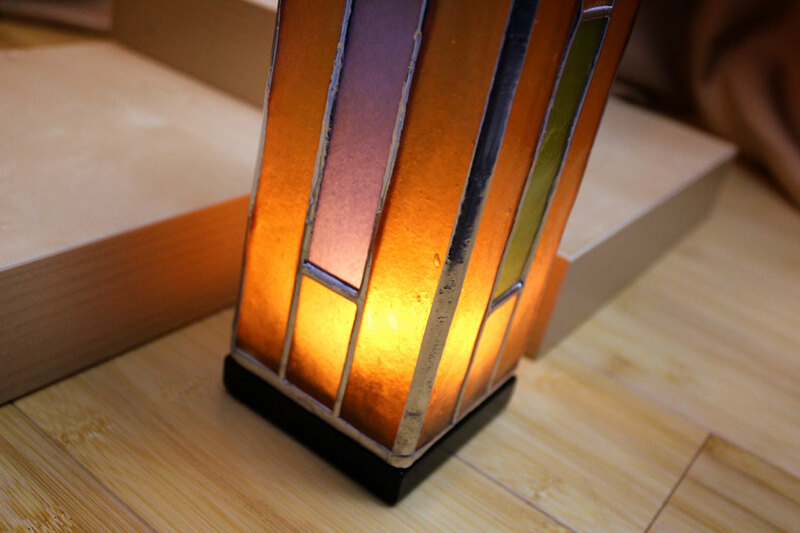 Tags: craftsman, mission style, stained glass.